﻿ Our Rides from Provence Cycling Holidays, self guided bike tours in the Luberon, Provence, France. We have been riding and living in the area for since 2000, so we can show you the real Provence that many bikers don't get to see with many of the larger, less personal bike tours on offer. We have built up a directory of 30 GPS rides to suit all abilities, from those that prefer a leisurely 25kms along the flat, or a rolling 50k to those that want a more full-on day in the hills. We can also design rides on the spot to meet any specific needs that you may have. The fact that we bike these roads all year around, means that we know where the best rides, places to visit and best restaurants are. You'll ride through breathtaking countryside and historic stone villages, with some great restaurants & wine chateaux, and many other sights along your route. All of this information is supplied to you in an easy to use and carry format which you take with you for each of your different rides, so you are getting all the local knowledge thus helping you get the most from your time here. All our self guided rides start from the villa and take you, for the vast majority, along quiet countryside back roads which see little traffic. We also make good use of 2 parts of the local bike route network - the first, a superb, new 30k stretch of converted rail track. 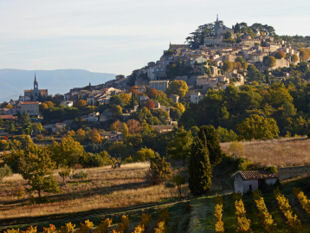 And the second, a 30k scenic section along the foothills of the Luberon and through its beautiful stone villages. The terrain is a varied one catering for all fitness levels. The villa is in a flat river plane opposite the Luberon hills, to the west and north west is the river delta of the larger Rhone river - so nice, very flat and fast. Down the beautiful Luberon valley to the east it's flat and rolling. Ride a distance to the north east and you're in some good hills, if you fancy a work out. 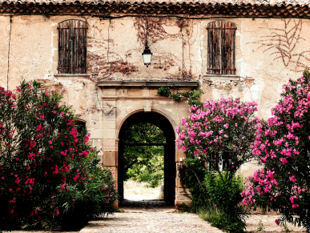 You can rest assured though, that there are plenty of great days out to be had, that require only a moderate cycling effort and that are full of the great sights that the Luberon has to offer. For exact mileage please see the next page. 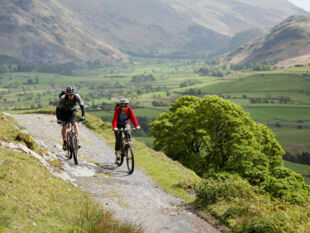 Remember should you have any doubts about your cycling ability, we have ebikes available. They are very flexible as they offer good autonomy whilst also giving the ability to pedal at different levels of effort, thus improving your fitness. They are an additional €28 per person per night, and need to be booked in advance. Road bikes are also now available for hire for an additional 28 euros per night, including insurance - please contact us for details. 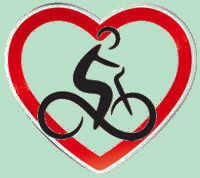 The selection was diverse and catered for a range of cycling abilities. Perfect for my wife and myself but also my parents who to be fair are fit (dad did summit Mt Ventoux during the trip) but wouldn’t be planning on doing long rides every day. The cycle track was a couple of kilometres away and linked nicely with Coustellet and is a perfect way to get to areas a bit further away from the Villa. 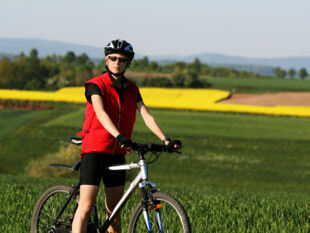 We highly recommend Provence Cycling Holidays, it's perfect for cyclists of varying skills and desires. One can choose a challenging day-long hill climb or a leisurely hour ride to lunch. Bruce - US - Oct 12. "The cycling was perfect.......I pedalled for miles every day through tiny hill top villages, fields full of lavender and sunflowers......it was bliss." Julie - UK - July 2010. "For the more adventurous I would recommend a trip up Ventoux. It may not feel great at the time, in fact it may feel awful, but when you get to the top its an incredible feeling." Click HERE to read more about our Ride Selection.